Ted Bird, the Chairman of ApiFix, a commercial-stage company headquartered in Israel that has developed a minimally invasive alternative for treating scoliosis in kids joins eHealth Radio and the Health Care, News & Scoliosis Channels. What is Adolescent Idiopathic Scoliosis: AIS? What is ApiFix? Where is it approved for use? Why do spine surgeons prefer ApiFix® to treat their adolescent patients’ scoliosis? Why do adolescent patients prefer that their spine surgeon use ApiFix® to treat their scoliosis? If we know someone who is going to have scoliosis surgery, what should we tell them about ApiFix®? Ted has nearly 25 years of commercial experience in the spine industry starting in 1991 as Marketing Director with pre-IPO Danek Medical and rising to VP of Marketing, Global Medical Education and Emerging Technologies at Sofamor Danek, which grew from $15 million to $750+ million in annual revenue and was acquired by Medtronic for $3.6 billion in 1999. 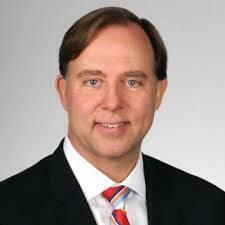 He subsequently joined DePuy Spine as VP of Strategic Development. Ted also worked for 7 years at Orthofix, ultimately rising to President of the Spine Fixation Division, transforming it from a $15 million operating loss to breakeven in just 18 months, while launching four significant new products. He is especially proud of spearheading the transformation of Orthofix’s acquisition of Blackstone Medical from a distressed entity with declining sales and a questionable reputation into a profitable, integrity-based spinal implant business.